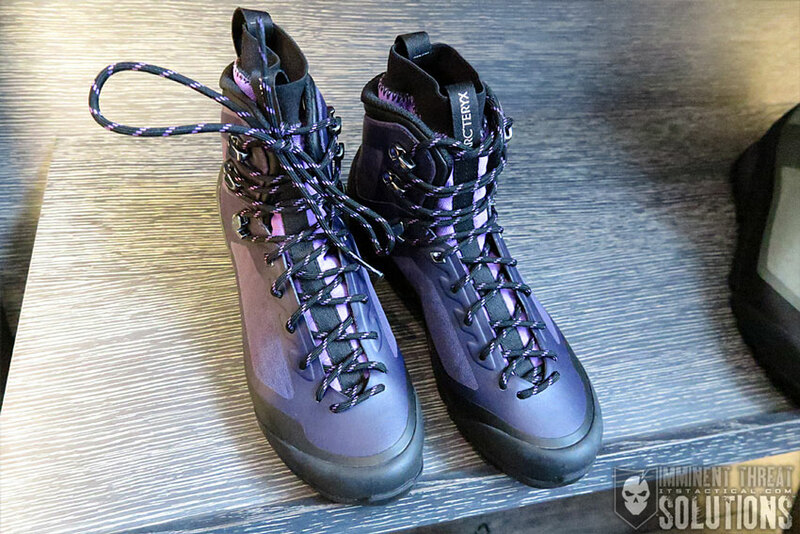 ITS has spent the last few days in Chamonix, France with our peers attending the worldwide launch of the Arc’teryx Technical Performance Footwear line. We were given the opportunity to not only get hands on with the new Arc’teryx footwear, but talk one-on-one with the designers and development team that made it all happen. 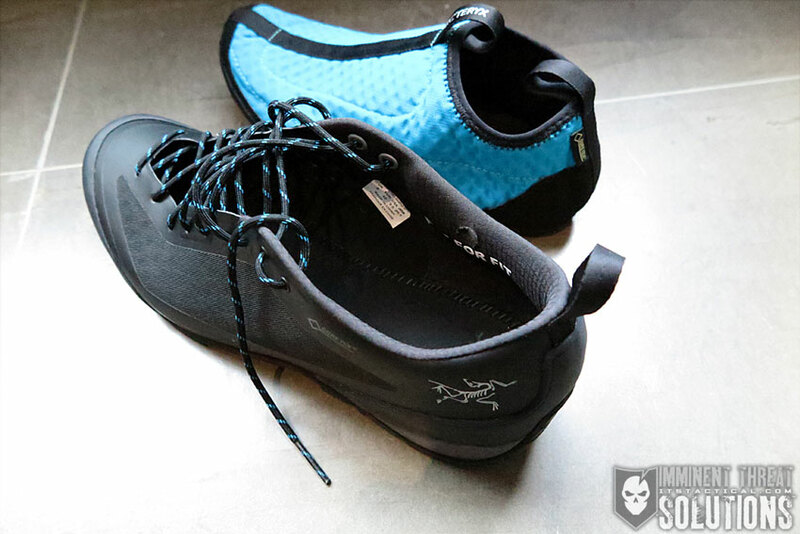 Footwear is a whole new category for the Canadian based company and one that’s four years in the making. 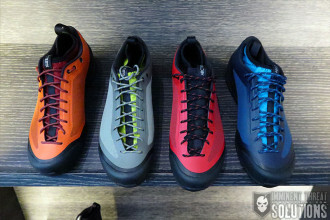 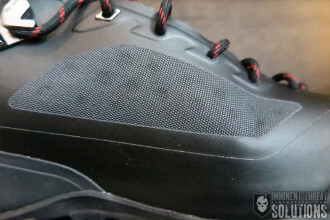 From what we’ve seen here, these new Arc’teryx shoes represent a truly innovative shift in performance footwear. What makes this Arc’teryx Technical Performance Footwear line unique is the out-of-the-box thinking in the way footwear is manufactured. 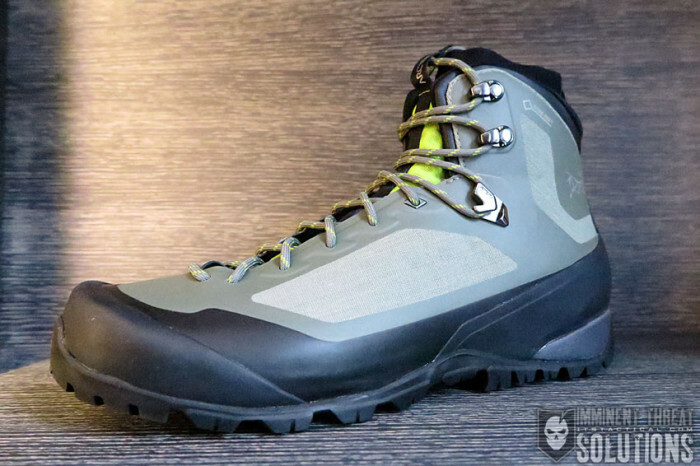 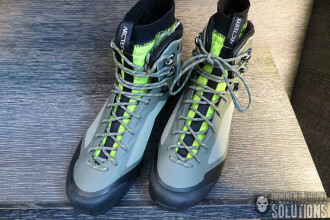 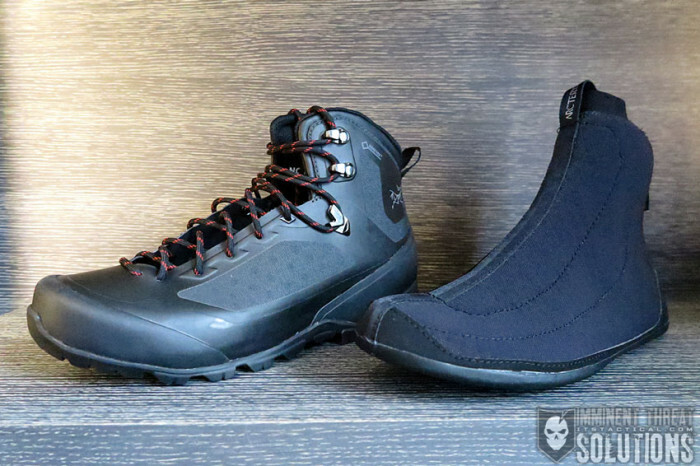 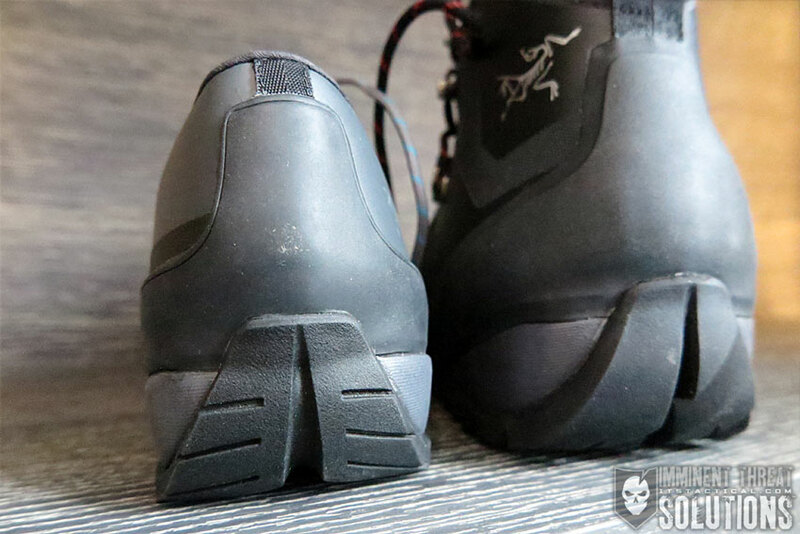 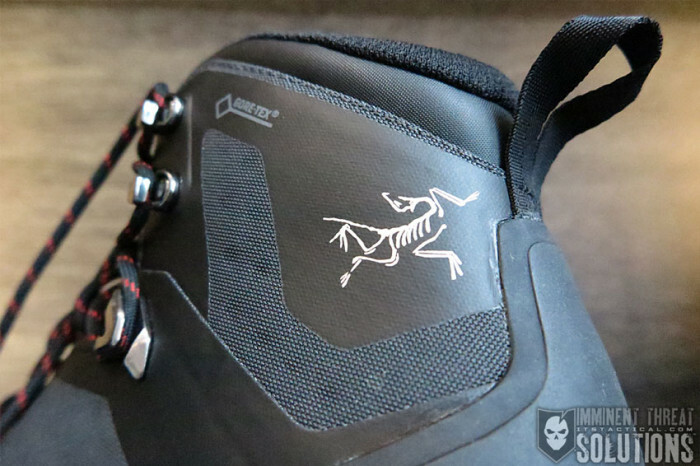 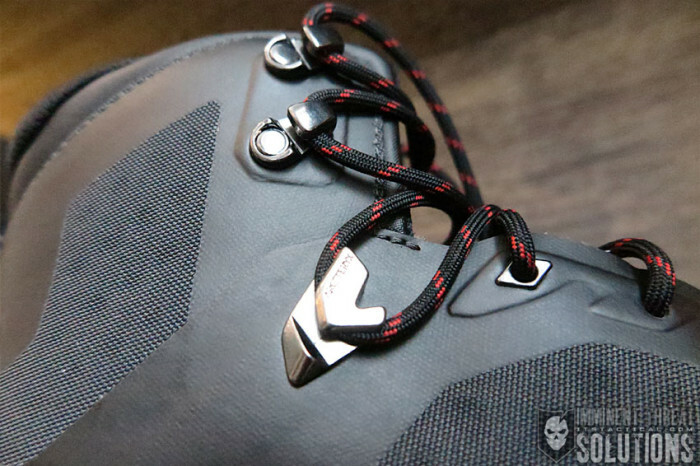 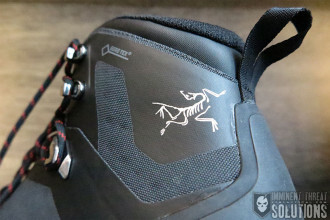 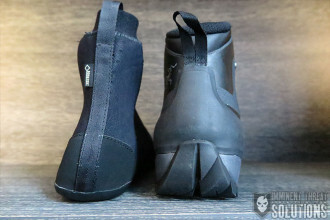 Lets first break down the Arc’teryx Adaptive Fit technology found in the flagship models of the Alpha2 FL and Bora2, which feature a removable “bootie”. 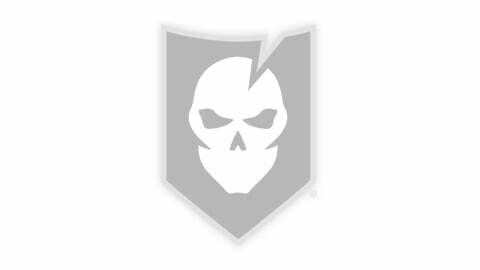 It’s in this that we start looking at all the potential this new design unlocks. 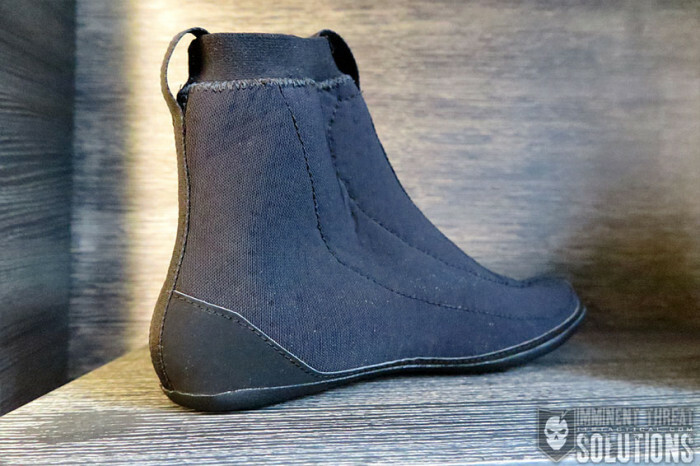 The inner bootie is a full-stretchable and removable Gore-Tex liner that not only provides a waterproof surface, but a breathable one as well. 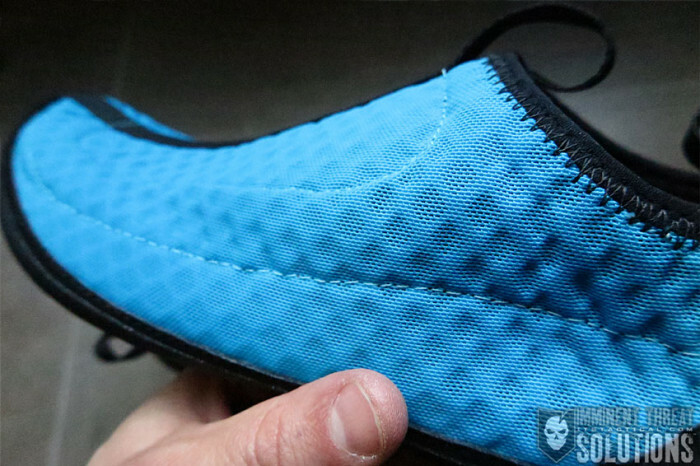 The breathability comes from the micro air-space created between the shell and liner which acts as a conduit for air exchange and moisture dispersion. It’s important to note here that there are models of this new footwear that still retain the inherent features of the bootie, without it being removable; more to follow on this later. With the removable inner bootie design, there exists the potential of reducing hot spots from friction that eventually lead to blisters, due to the liner and outer moving as two separate pieces. 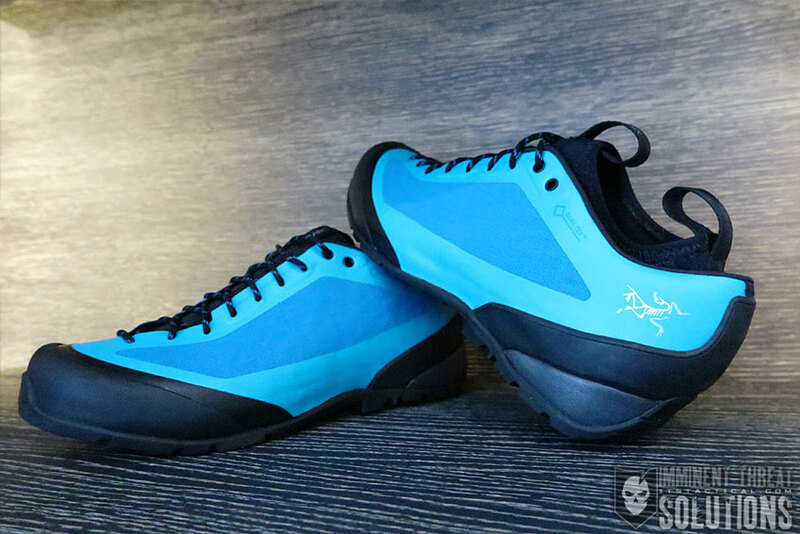 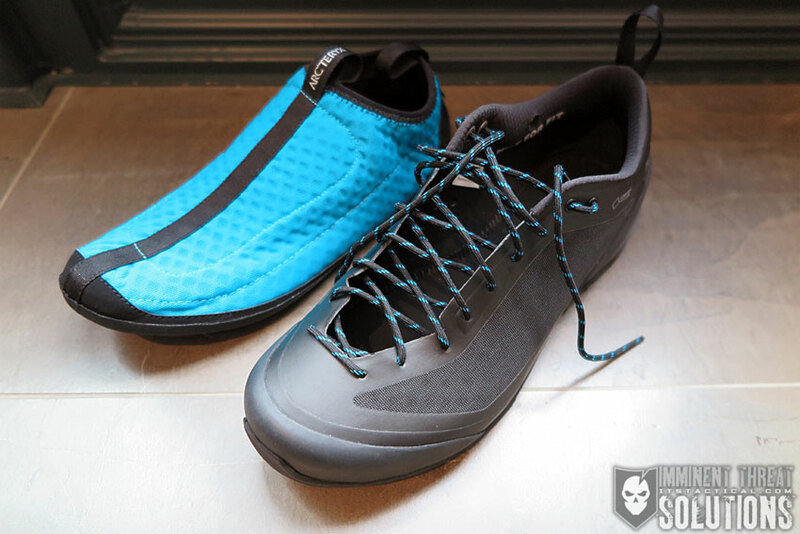 Another amazing feature is that the the removable liner has its own rubberized sole, so you’ve now got a built-in pair of camp shoes after a long day of moving on technical terrain. 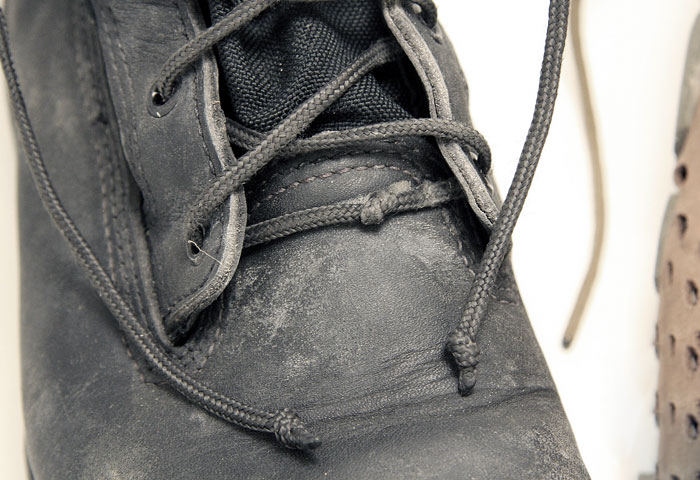 The liners can be dried in a sleeping bag overnight, or even tossed into the washing machine to clean them when you get home. 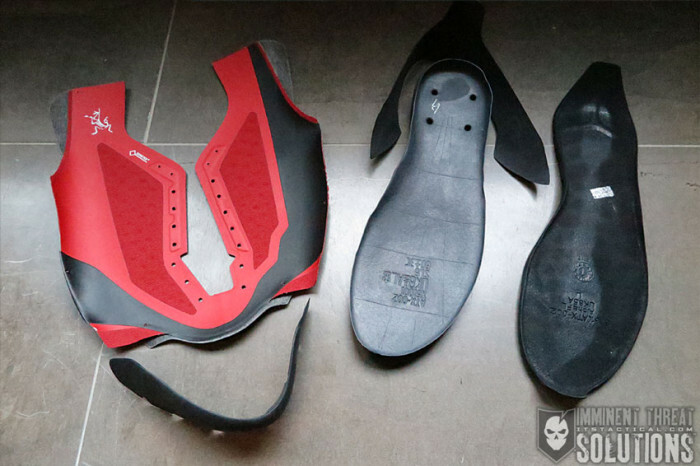 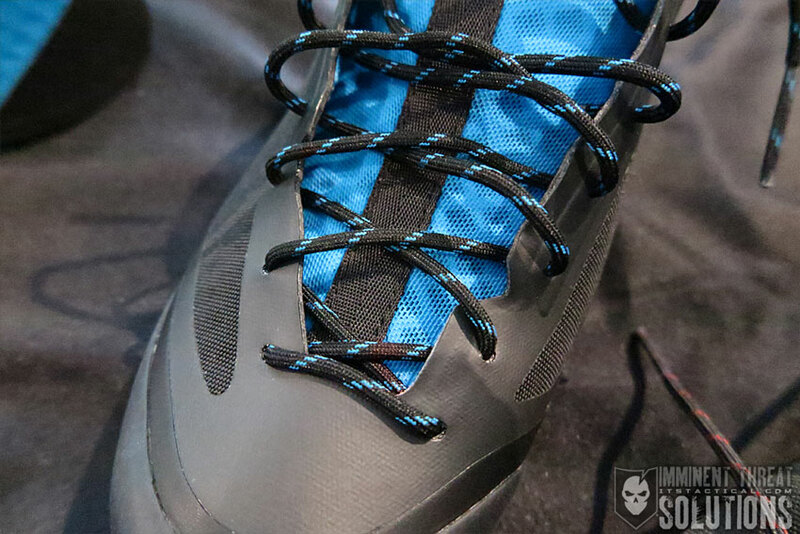 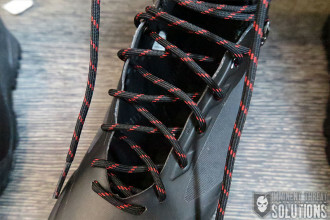 There’s also the ability to interchange the low-cut liners of the shoes with the taller mid-version of the boots to further keep the elements out. By completely eliminating the tongue found in traditional footwear construction, Arc’teryx was able to maximize the waterproof surface area with the removable liner as well. 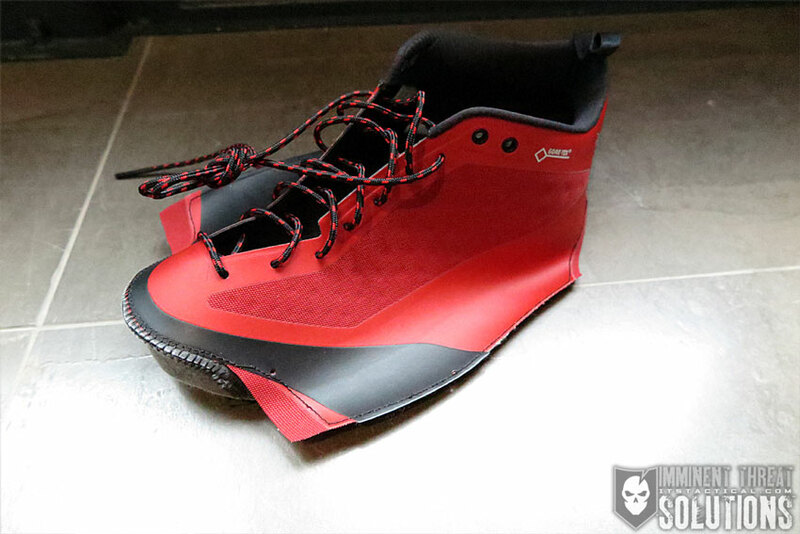 The potential exists to just toss a mid-size liner into the Alpha2 FL and have an even taller option to keep water out of shoes during shallow water crossings. 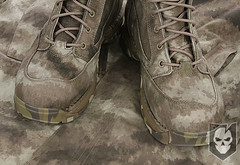 We have confirmed an insulated mid-cut liner will be available as an add-on product. 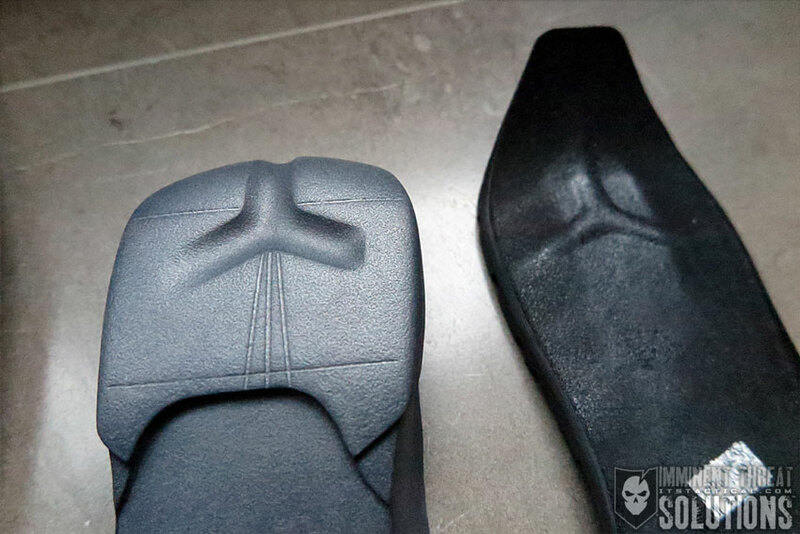 Now that you know how the inner footwear functions, let’s talk about the outer shell. 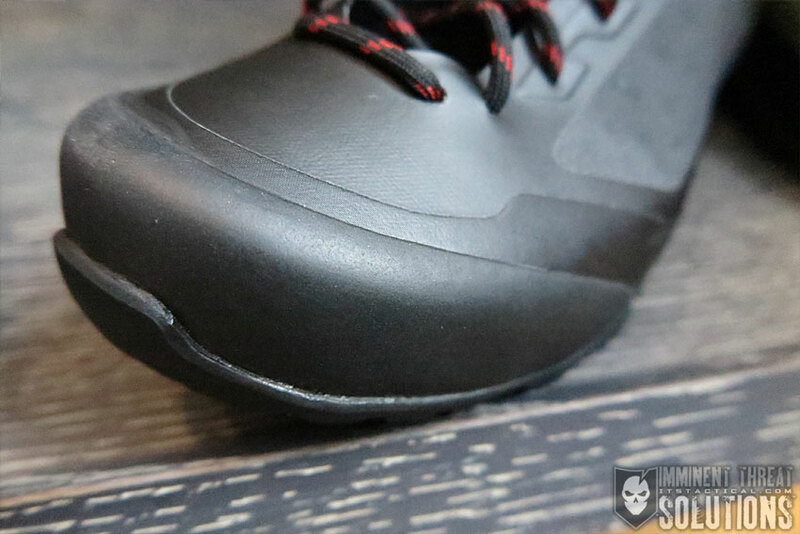 The first element is a seamless laminated one-piece upper that’s actually made from four different layers, providing a lightweight and durable solution for the typical abrasion encountered by rock, snow and ice. 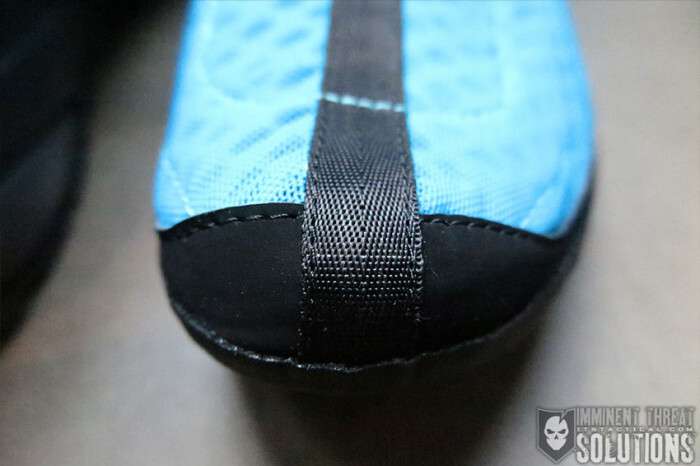 Despite the four layers used in construction, the upper is still air permeable to keep you cool. 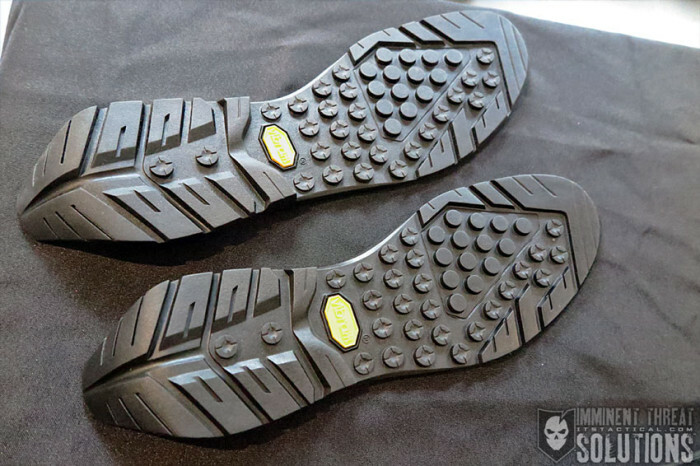 The midsole, who’s role is to cushion and support the foot while providing flexibility and precision traction, is made from light EVA foam, chosen for its soft resilient nature, high durability and its ability to absorb shock while providing precision stability. 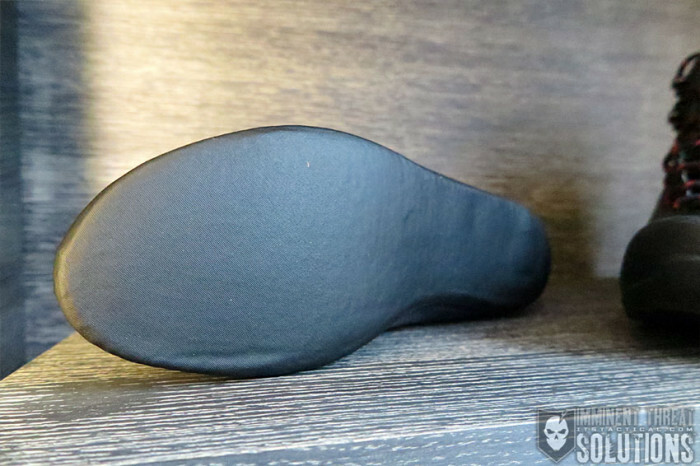 This stability comes from a rounded heel strike-zone, which features a Y shape that is assembled without adhesive to allow each side to flex independently of the overall midsole. 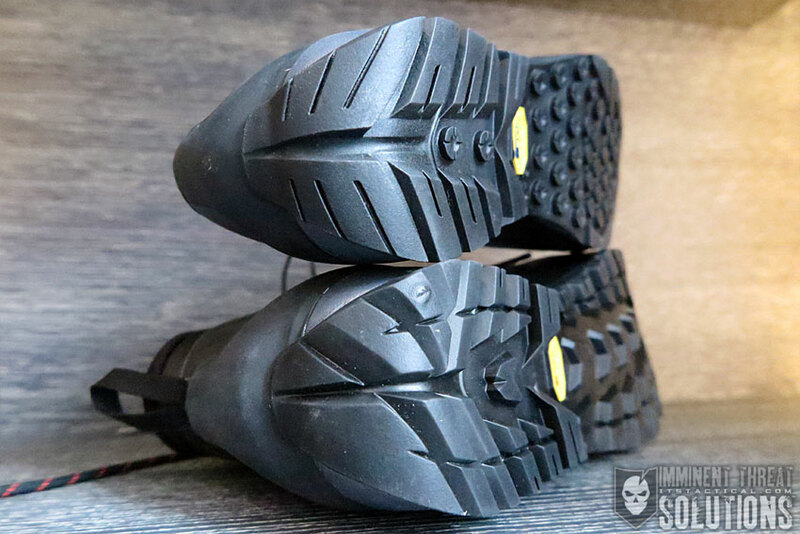 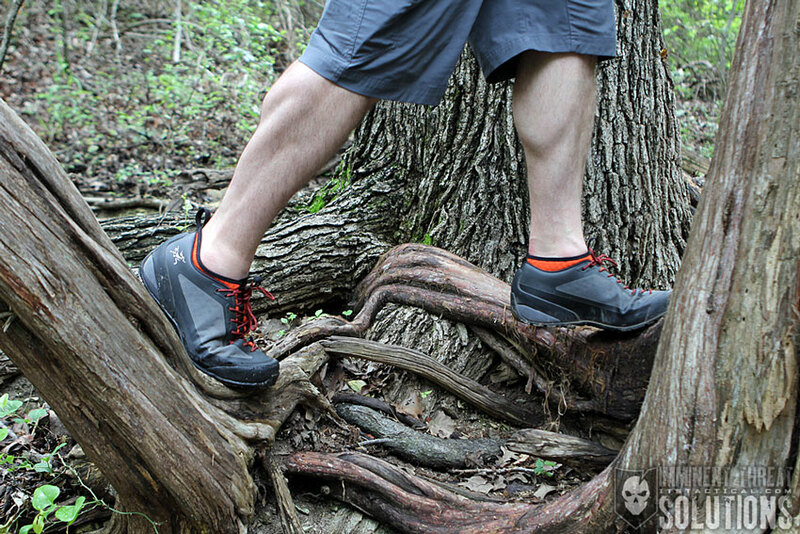 This allows better cushioning impact on rough, uneven terrain. 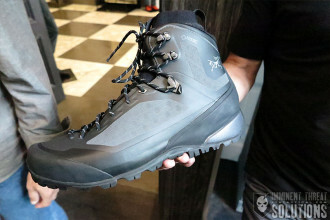 Arc’teryx also custom designed the Ortholite footbed to maximize comfort, breathability and arch support. 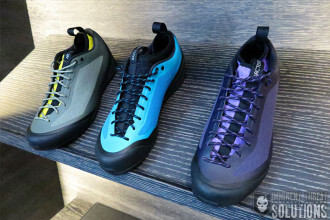 Rather than simply wrap heel and toe caps around the shoe and glue them in place, Arc’teryx produced molded three-dimensional caps that are individually crafted for each size shoe. This resists cracking, prevents collapsing and adds protection to the most exposed areas of the upper and midsole. Tying it all together are two different outsoles that are activity specific. The Vibram Arc’teryx Approach Outsole is found on the Alpha shoes and is designed with anti-slip lugs and mountaineering heel tread. 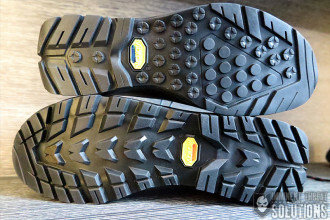 The Vibram Arc’teryx Hiking Outsole is found on the Bora Hiking Boots and features traction groves with a high-grip mountaineering perimeter and heel tread. 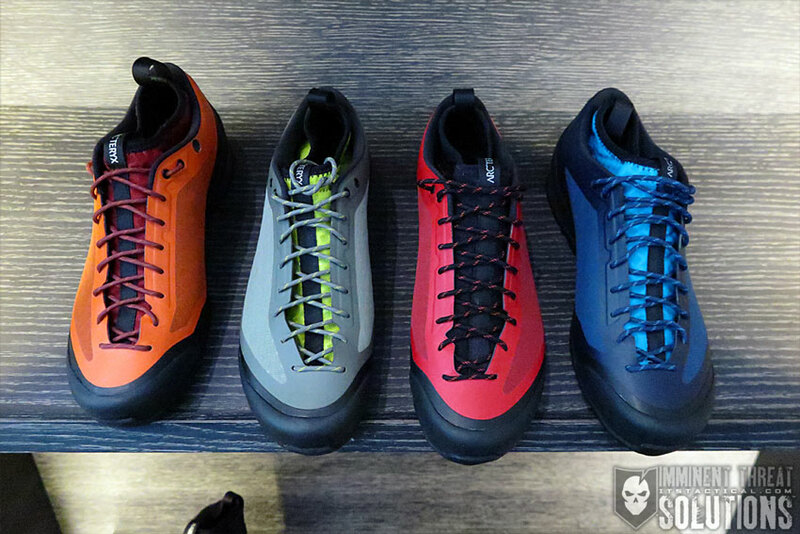 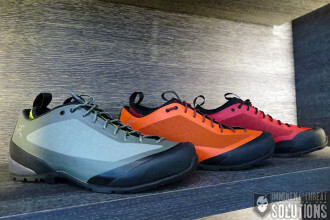 There are five primary styles of footwear that Arc’teryx will be releasing in Spring of 2015. Low-cut approach shoe options include the Alpha FL and Alpha FL GTX (with Gore-Tex) in both men’s and women’s versions, as well as the top of the line Alpha2 FL with removable Gore-Tex liner in just a men’s version. 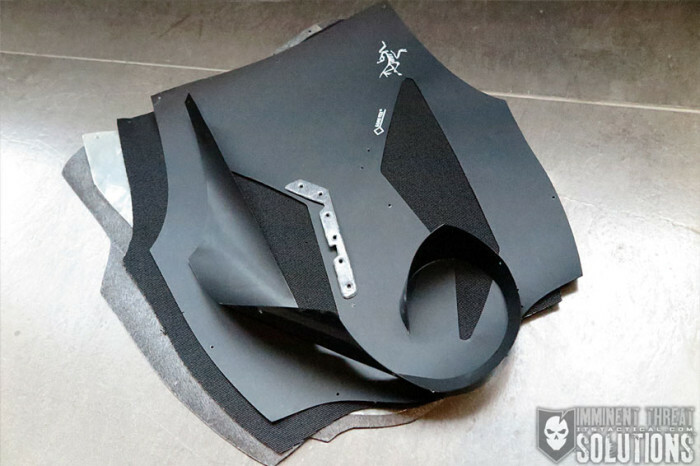 Just to note again the Alpha FL and Alpha FL GTX will not have removable liners. Mid-cut hiking boots round out the last two styles and are available in the Bora2 Mid with removable Gore-Tex liner and Bora Mid GTX with non-removable Gore-Tex liner. 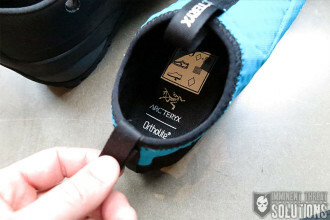 There’s also an insulated Gore-Tex liner available to replace the liner in the Bora2 if you need a little more warmth. The Bora Mid GTX comes in both men’s and women’s versions, but like the Alpha2 FL, the Bora2 Mid are only available in a men’s version. As mentioned earlier, an insulated Gore-Tex bootie is available separately to upgrade the bootie in the Bora if you need added insulation, or want to add them to a pair of the approach shoes. The Arc’teryx Technical Performance Footwear isn’t releasing until Spring of 2015, so keep an eye out on the Arc’teryx website for more details.